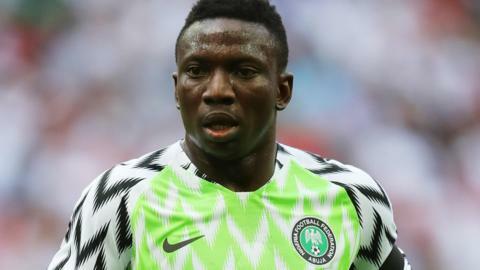 Championship side Stoke City sign Feirense midfielder Oghenekaro Etebo for £6.35m (7.2m euros) on a five-year deal. Gareth Bale scores twice as Real Madrid prepare for their upcoming Champions League game at Juventus with victory at Las Palmas. Former West Ham striker Jonathan Calleri's penalty helps lowly Las Palmas hold La Liga leaders Barcelona.